Diess: Plants must become more productive. 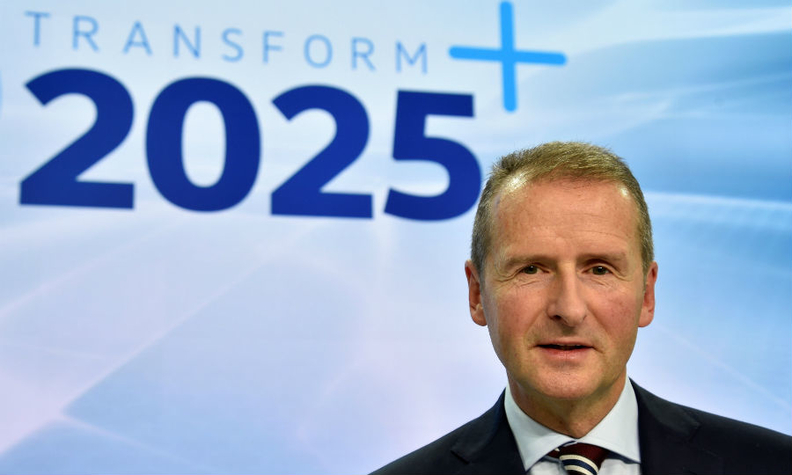 BERLIN -- Volkswagen Group wants to increase the productivity of its plants at its core VW unit to catch up with rivals, the brand's CEO, Herbert Diess, told a German newspaper. "There is no avoiding it, the plants have to become much more productive in the coming years because we are not making enough money with our cars at the moment," Herbert Diess was quoted as saying by the Sueddeutsche Zeitung in an interview published on Thursday. His comments came after first-quarter operating profit at VW's largest division surged to 869 million euros ($948.9 million) from 73 million a year earlier. Investors have said a turnaround at the VW brand, which has long been saddled with high fixed and r&d costs, is key to turning the automaker into a more attractive business. "We need to catch up urgently," Diess said, saying it was not easy to get the message across.